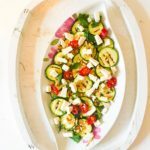 Summer is now in full swing over here in Berlin and I am kicking off the season with the perfect recipe for some al fresco dining – a Courgette, Feta and Tahini Dip! I am a huge fan of Middle Eastern food for its exciting flavours, use of fresh vegetables and it’s all things spice. I can eat Mezze all year but it feels that little bit more special during the summer months. 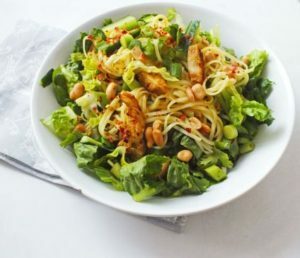 I think it is because you can cook just a few items then pile a load of olives, bread and salads on the side so that you are not over cooking on warm evenings. 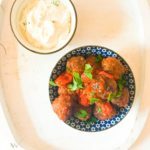 In fact, I often serve this Courgette, Feta and Tahini Dip with some simple Koftas and a big fresh salad on the side. 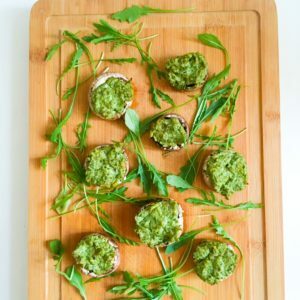 It is the perfect food to eat outside with a cold glass of wine. I quickly fry up the courgettes for just a few minutes to allow them to soften slightly. I also peel them beforehand to avoid any chunks of skin in the dip. I then just add everything to a food processor and whiz away. 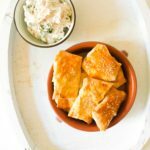 Serve with plenty of pitta bread on the side! In a frying pan heat a dash of olive oil. Then gently fry the courgettes for 3-4 minutes until softened slightly. Add the courgettes to a food processor. Then crumble in the feta. Add the tahini paste, lemon juice, parsley and garlic. Season with salt and pepper and a final good drizzle of olive oil. Whizz until smooth. Transfer to a serving bowl and sprinkle some chilli flakes on top, and serve right away or keep in the fridge until needed. 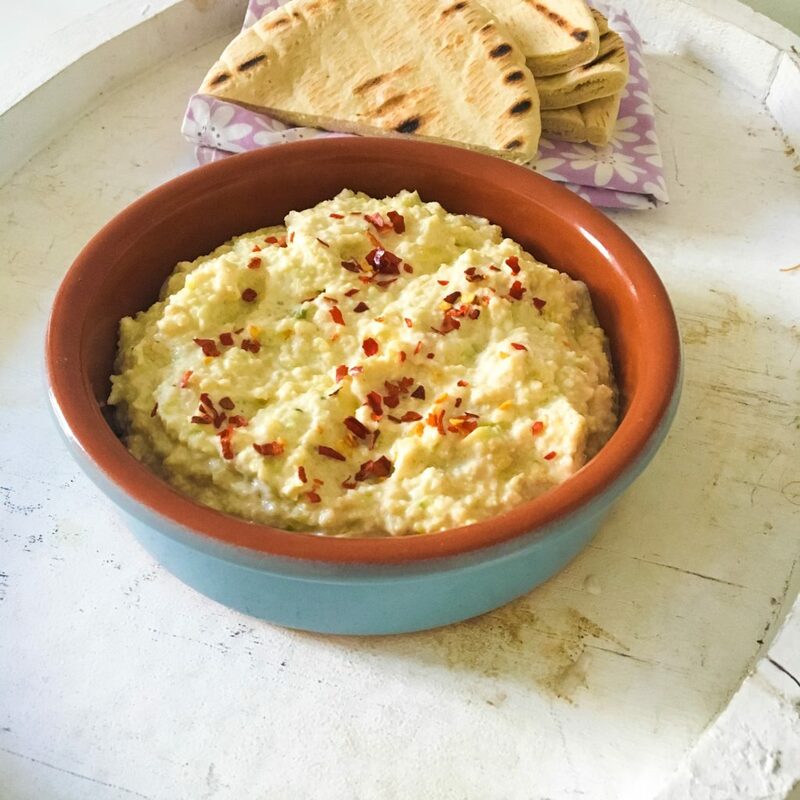 Serve with some pitta bread on the side.